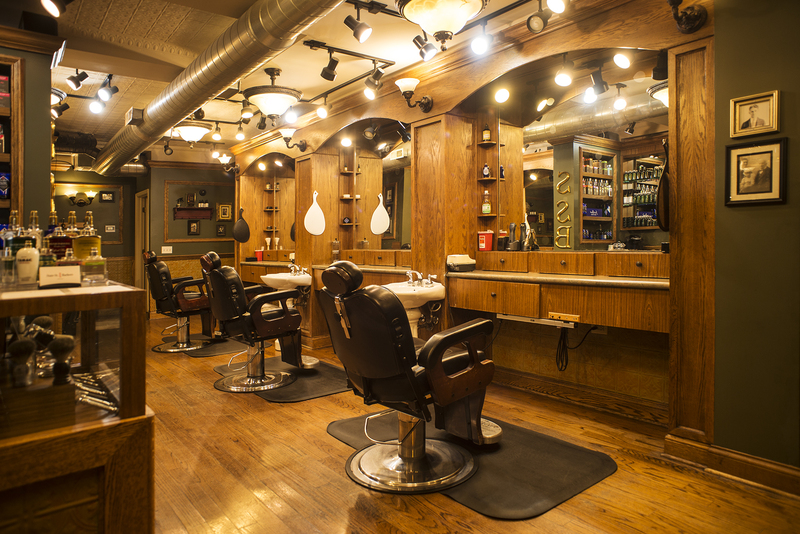 When you’re looking for a great men’s barbershop in Lakeview, you’ll certainly find no shortage. With so many options, it can be difficult to make the best choice. When you come to State St. Barbers, though, you’re in great hands. With professional stylists and barbers on our staff, you’ll walk out looking and feeling your best. Gentleman in Training Haircuts: Offered to young men ages 12 and under, this service ensures our younger guests look and feel their best, no matter how old they are. Gentleman in Waiting Haircuts: Offered to students who are on a tight budget, because no matter how many classes you have to attend and how many hours you spend in the library, looking great can still be important. Signature Haircuts: Our signature haircuts include a hot face towel, a straight razor neck shave, and a mini neck and shoulder massage—in addition to your custom haircut! You’ll also receive complimentary coffee or tea. Hot Lather Shaves: A classic service that leaves you feeling fresh and clean, we use dollops of warm lather and a pinch of cooling aftershave balm so that you feel great. Grey Blending Service: If going grey isn’t for you, we understand! We offer grey blending services to bring back a natural look to your hair. Beard Shaping: Tame your facial hair—our beard shaping services keep you looking confident and well-groomed. We also offer group reservations for special occasions and business events. When you’re looking for the best barbershop in Lakeview, you’ll want to make sure that they’re using top-notch products in addition to providing our guests with the best barber services available. We offer an array of professional brands that you know and trust, like Proraso Shave Products, Layrite Pomades, American Crew and Men’s Dept. products, Beard Balm, and more. State St. Barbers in Lakeview serves the entire 60657 area, and is located at 3523 N. Southport Avenue—just north of Addison. Although we do offer walk-in availability, we recommend that you make a reservation or appointment prior to coming in—this allows us to serve all of our customers better. To book your appointment with one of State Street Barbers’ professional barbers, click the link above. When you’re looking for the best men’s barbershop in Lakeview, contact State St. Barbers at 773-472-7723.